As I write this, the longest night of the year is almost upon us. Every ancient belief that pertains to this time of year applies especially to this night. Persephone is about to eat the third of her pomegranate seeds. In England and Canada, they are getting ready to tell ghost stories. Dickens’ A Christmas Carol was one of these, and one of a series he wrote over the course of several years. Robertson Davies did the same thing in Canada. Soon, the light will shine through that one special arch at Stonehenge. This year, the longest night will be darker than usual; for the first time in 467 years, there will be a lunar eclipse. At this time of year, the ancients would say that the veil is thin. This refers to the boundary between this world and the next. 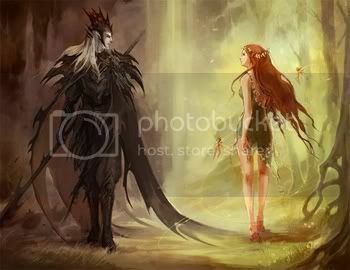 They believed that, at this time of year, it was possible to pass between the two worlds. In the legends of King Arthur, there is always a strange event at the feast of Pentacost. Often, this was the arrival of a visitor from the otherworld; the best known of these is the green knight. I do not ask my readers to share in these beliefs. But this is the backdrop for the special feel of this time of year, and it has inspired some wonderful music. So, here is a set of music in the form of a journey. Join me, won’t you? Jillian LaDage gives us an overture of sorts. Vanished Secrets feels to me like a description of a ritual in preparation for our journey. 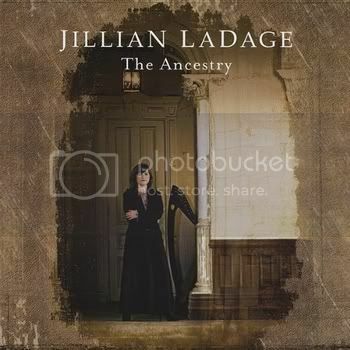 LaDage points out in her liner notes that this song was inspired by Celtic beliefs about memory. That comes through strongly for me here. The arrangement features a clarinet as a lead instrument. I would never have thought of it, but it works beautifully here. The clear model for this kind of music is Loreena McKennitt, but LaDage makes this music her own. Our journey proper begins on Earth. The title, Passchendaele 1917, refers to a battle in World War I that has become a symbol of the futility of war. The mud was so deep that men drown in it, and every two inches of territory gained in the a battle came at the cost of a man’s life. But F&M do not dwell on the misery of war here. The song was inspired by Robertson Davies’ Deptford Trilogy, and it focuses on one man facing the possibility of death by contemplating his life. Rebecca Anderson is one of the lead singers in F&M, and she delivers a wonderful performance here. That’s also her on piano, and the rest of the band doesn’t join in until halfway through the song. So Anderson must carry this one most of the way, and she’s more than up to it. 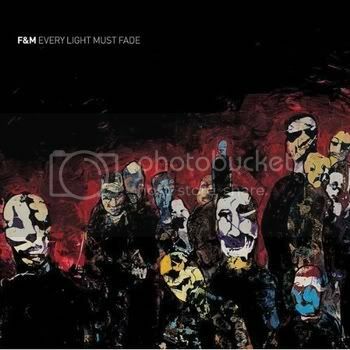 Every Light Must Fade was inspired by a series of conversations about death and life. This could be a morbid and depressing album, but it’s not at all. Some of the songs have a spiritual dimension, but others contemplate what kind of a legacy a person is creating for when they go. How do you live the life you would like to be remembered for? It’s a great question, and the characters presented here establish that the answer must be different for each of us. The music is thoughtful and passionate at the same time. It’s not easy to make that combination work. F&M shows one good way to do it. Ask her what kind of music she does, and the quick answer would probably be that Manisha Shahane is a jazz singer. But that’s just the beginning. 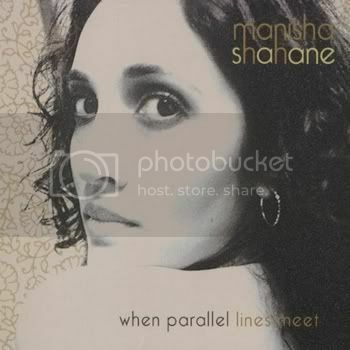 Shahane is from India, and she sings on this album not only in English, but also in Hindi and two other Indian languages. Many of her songs either are prayers, or have the quality of a prayer. In Remember This Day, Shahane thanks her gods for the day, remembering that each day is a gift. Her beautifully clear soprano is backed by piano, stand-up bass, and drums. And so far we are on familiar ground. But there is also additional percussion here, and I am not even sure what instruments are involved. I can tell that some of it is tuned percussion, and there are what Shahane calls “gamelan-like bells”. Whatever it all is, it takes this music to an entirely different place. Here, the veil is thin between East and West, and the result is a fascinating hybrid. Because this music takes the listener to an unfamiliar place, the spiritual dimension of the music is enhanced. Shahane sustains this feeling over the course of the entire album, so if you like this one, it is definitely worth going further. The light that Sora refers to is the inner light of the spirit. She sings in an operatic soprano, over Celtic-inspired arrangements. It would be easy to dismiss this music as new-age twaddle, and move on. Don’t make that mistake with Sora. She uses some electronics on her album, but the emphasis is on acoustic instruments. As heard here, the songs undergo subtle changes in texture as they go along. And her voice is a wonderful instrument. Light is, indeed about the spirit, but it also works as a solstice song, welcoming the new sun in the morning. Elsewhere, Sora shows in her writing a real sympathy for the characters of myth the she presents. Heartwood may express itself in new-age terms somewhat, but the album is a work of true feeling. Mahri Autumn hails from Australia, so she’s getting ready for the summer solstice. Angel is a song you can get lost in. The texture is the first thing you notice, as the song shimmers and shifts in subtle ways. Autumn’s breathy vocals work perfectly here, furthering a sense of hazy definition slowly resolving to clarity. Angel is a song about personal transformation, so this makes perfect sense. 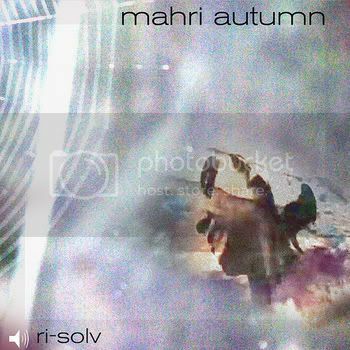 Mahri Autumn plays guitar, piano, accordion, and adds electronic percussion to some songs, and she has guest musicians who can help with whatever else she needs. So her songs feature rich and strange combinations of instruments. This is finely layered music that should amply reward repeated listening. Blog business: With the holidays falling as they do this year, I’m currently planning on two post for each of the next two weeks. One will be a For a Song post, and the other will be an album review. So this is the last theme post, until next year. Meanwhile, Chris LaVancher‘s Kickstarter campaign still needs your help. As I write this, he has ten days to go, and he still needs 25% of his goal. Remember, if he doesn’t make it, he gets nothing. Kristi Martel and Kim Davidson also still need help to make their albums as well. They are raising their funds independently, so they have no deadlines. But theirs is also the harder road, so keep them in mind. As the holiday shopping season winds down, we all have a clearer idea of what we have going forward. Please help if you can. Thank you.